This is the fourth post in a retrospective series of blogs reviewing major state tax policy trends in 2018. You can find the first post on state responses to the federal tax bill here and the second on tax credits for workers and their families here. The third post discussed state revenue shortfalls and the impact on education and other services, while this post focuses on recent debates over sales and excise taxes. As the nation’s economy evolves, state and local tax codes need to adapt to keep pace. Consumers’ growing interest in online shopping and “gig economy” services like Uber and Airbnb has forced states and localities to revisit their sales taxes, for instance. Meanwhile new evidence on the dangers and causes of obesity has led to rising interest in soda taxes, but the soda industry is fighting back. Carbon taxes are being discussed as a tool for combatting climate change. And changing attitudes toward cannabis use have spurred some states to move away from outright prohibition in favor of legalization, regulation and taxation. Despite considerable interest in expanding and modernizing consumption taxes, most states have still shied away from the most necessary and obvious modernization needed—expanding sales taxes to services. Kentucky was the notable exception this session, but it expanded the sales tax base to services as a part of an overall regressive tax package that also cut and flattened the income tax, increased taxes on tobacco and provided a significant tax cut to the state’s wealthiest 1 percent while hiking taxes on most other taxpayers. In the wake of that decision, states and localities have been working to strike a balance between requiring collection by a larger group of online retailers and ensuring that their collection requirements are simple enough not to constitute an undue burden on interstate commerce. The court suggested that overly complex collection requirements could still run afoul of the Constitution, but offered a strong indication that laws modeled after South Dakota’s—which exempts small sellers and provides retailers with a single point of collection—would withstand legal challenge. Some states will need to pass legislation before collection can begin, while others have laws on the books already and tax administrators in those states are focused on implementation. Most states are wisely shying away from requiring retroactive collection of sales taxes and are giving online retailers a few months to get ready for the start of mandatory collection. States should caution against counting on an expected windfall of sales tax revenue to cut income taxes. In addition to sales tax being a less sustainable and progressive source of revenue than an income tax, there will be some lag time for this novel form of tax collection to accurately project expected revenue. If state legislators are steadfast in their desire to cut taxes because of online sales tax revenue, they should decrease the sales tax rate or create a targeted credit to reduce the sales tax burden on low-income families. Collection of online sales taxes will undoubtedly be a major topic of discussion for many months and years to come. As more states end their prohibition of cannabis, various systems and rates of taxation are emerging. The Alaska Department of Revenue recently proposed changing the state’s tax structure for cannabis. Currently, the state levies a tax by weight of $50 per ounce for the bud and flower and $15 per ounce for the rest of the plant. The new categories and rates would be $50 per ounce for mature buds, $25 per ounce for immature or abnormal buds, and $15 per ounce for the remainder of the plant. The New York state Health Department released a report recommending the legalization and taxation of cannabis at a rate of 7 to 10 percent. Vermont’s law allowing recreational use of cannabis went into effect on July 1. The bill, which was signed by Gov. Phil Scott in January, made Vermont the first state to authorize cannabis use via the state legislature rather than a ballot measure. But lawmakers did not authorize a commercial market for cannabis which means Vermont, like Washington D.C., will not benefit from tax revenue from legalization. Five states will have ballot measures in November to legalize cannabis. 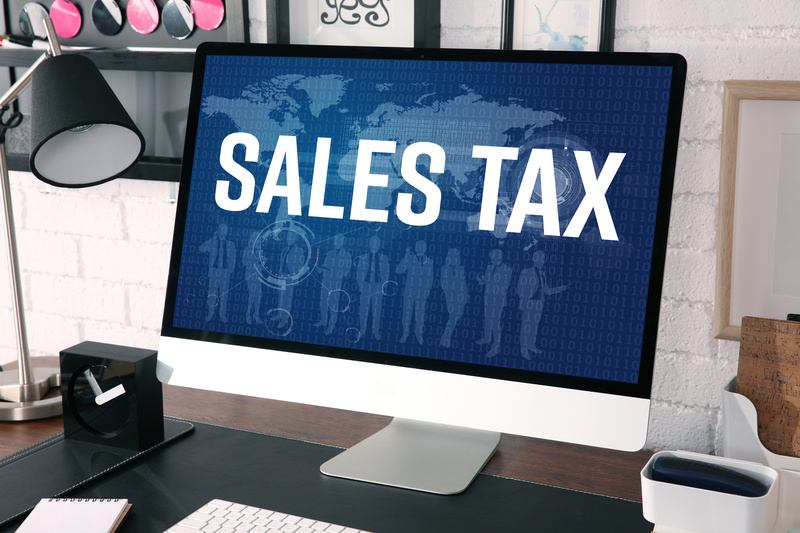 The Michigan proposal would levy a 10 percent excise tax on retailers in addition to the 6 percent general sales tax. In Missouri, one ballot measure would amend the state constitution to legalize cannabis for recreational use by adults and a separate measure would legalize medical cannabis and tax retail sales at 15 percent. At least a portion of Missouri’s revenue would be earmarked to fund a state research institute to conduct research with the purpose of developing cures and treatments for cancer and other incurable diseases or medical conditions. The Oklahoma ballot initiative stipulates that the cannabis-specific sales tax can be set no higher than 20 percent, and earmarks half of the revenue for the general fund of the Department of Education and divides the remainder between drug and alcohol rehabilitation and the state general fund. Proposition 2 in Utah would legalize cannabis for medical use and exempt it from sales tax. The initiative from North Dakota leaves it to the legislature to set a level of taxation. As more states consider legalizing and taxing cannabis, they should be cautious of expecting a new and ever-growing source of revenue. In Colorado and Washington, where revenue has been collected on cannabis sales since 2014, the dramatic increase in cannabis revenue seen in the first year has slowed. And like revenue from gambling, as more states roll back prohibitions competition from other states will also likely decrease revenue. Although states should not earmark cannabis revenue for long-term spending priorities, the state and local tax dollars that could be gained from cannabis is not insignificant. In Colorado and Oregon, cannabis revenue is nearly quadruple that of revenue from alcohol taxes. Nevada, which celebrated the one-year anniversary of its first retail pot shops in July, pot revenues have already outpaced alcohol. States and localities are showing significant interest in taxes on sugar-sweetened beverages, but the beverage and grocery industries are fighting back. Their newest strategy is pre-empting or prohibiting new taxes on a broad definition of food or groceries, which would include soda and other non-prepared foods, at the state level rather than heading off each proposed local soda tax. One of the most brazen showdowns with “Big Soda” was in California where the American Beverage Association (ABA) contributed $7 million to push a ballot initiative that would require a two-thirds majority to approve any new local tax, tax increase or extension. If enacted, a supermajority requirement would significantly hamper localities’ ability to raise revenue. After collecting enough signatures to show that it could get the measure on the November ballot, the ABA informed legislators that it would withdraw its petition in exchange for a 12-year ban on local soda taxes. The response from healthcare advocates is a 2020 ballot measure for a state-wide 2 cents per ounce tax on sugar-sweetened beverages. Philadelphia, Pa., is one of the largest jurisdictions to implement a tax on sugar sweetened beverages. The 1.5 cent per ounce tax levied on distributors was recently upheld by the state’s highest court but is now in danger of repeal by the state legislature. After one year of implementation, revenue from the tax, which was slated to fund priorities including expanded pre-K and community schools, came in about 15 percent lower than expected. While soda taxes do have advantages, ITEP has noted that they are an unsustainable revenue source and are ill-advised for funding long-term spending obligations. Soda consumption is already on a downturn and increasing the price of soda via taxes is intended to further discourage consumption, thus decreasing potential future revenue. In Oregon, Initiative 37 or Yes! Keep Our Groceries Tax Free, is a ballot measure to amend the state constitution to prohibit any increase in taxes on groceries. The measure, which has pitted labor advocates against corporate interests, is a response to the an unsuccessful ballot measure from 2016 that would have instituted a gross receipts tax on companies that sell more than $25 million in the state. Opponents of the 2016 measure (Measure 97) convinced voters that implementing the gross receipts tax would increase the cost of groceries. After successfully defeating that measure, which would have brought in $3 billion in revenue annually, industry advocates decided to proactively push their anti-tax agenda with Initiative 37. Although Initiative 37 proponents argue that it is narrowly targeted at shielding groceries from additional taxation, the state attorney general and an attorney representing the labor group that pushed for Measure 97 both caution that, as drafted, the amendment would have significant unintended consequences including prohibiting new taxes on restaurants or changing the corporate minimum tax for business that deal with groceries. If passed, the measure would also have the effect of prohibiting any tax on sugary drinks in the state, an idea that had been debated but not implemented in Multnomah County, home to Portland, the state’s most populous city. Seattle, Washington’s soda tax has drawn the attention of Big Soda as well. The beverage industry is continuing their strategy of attempting to pre-empt new taxes on all food at the state level rather than fighting against local ordinances one-by-one. A ballot measure would pre-empt new local taxes on food, including sugary drinks, and cap existing food taxes at current rates. The ballot measure campaign, Yes! To Affordable Groceries, is largely funded by major beverage companies like Coca-Cola, Pepsi and Dr Pepper Snapple Group, but rumors of potential taxes on other food products have led to support from the Washington Food Industry Association, the Washington Farm Bureau, and the Washington Cattlemen’s Association. Tech company giants like Uber and Airbnb have resisted uniform policies for collecting and remitting tax revenue to jurisdictions, opting instead to negotiate agreements with localities only after lawmakers attempt to regulate the companies in a manner similar to their traditional competitors in the taxi or hotel industries. These case by case negotiations have led to mixed results. As ITEP has previously outlined, the growth of the gig economy impacts all three of the major categories of revenue sources relied upon by state and local governments including consumption taxes, income taxes, and property taxes, and without adequate taxation state and local governments risk losing essential revenue. This session, state and local lawmakers continued to work, with varying degrees of success, to require companies to contribute their fair share to the communities where they operate. In another battle for local control in California, the San Francisco Board of Supervisors unanimously approved a resolution requesting the state legislature propose a bill that would require transportation network companies (TNCs), that is ride share companies like Uber and Lyft, to contribute more in taxes or fees to account for the additional impact their drivers have on the city’s roads. The state Public Utilities Commission lowered the percent of revenue TNCs are required to contribute from 0.33 to 0.0025 percent because their overall revenue had increased. San Francisco supervisors are now pushing for a ballot measure to implement a 0.975 percent business tax on TNCs. County officials determined that established state law prevents Cuyahoga County, which encompasses Cleveland, Ohio, from adding a 27 cent per ride fee to ride shares from companies like Uber and Lyft. The fee, proposed by a public transit advocacy group, would have brought in an estimated $3 million annually to help subsidize the county’s public transportation agency. Oregon lawmakers passed House Bill 4120 which will require intermediary websites for vacation rentals, like Airbnb and VRBO, to collect and remit state and local hotel taxes. Prior to the law, Airbnb negotiated with about 20 localities to collect and remit hotel taxes while HomeAway and VRBO have refused to collect taxes and taken cities to court. Piecemeal negotiations were proving ineffective because in the 80 jurisdictions that Airbnb did not negotiate with, each host was responsible for collecting taxes and few of them did. Pennsylvania’s House Bill 1810 would require short-term rental sites like Airbnb to share hosts’ data with the state’s Department of Revenue. Airbnb currently collects and remits state and local taxes in Pennsylvania through a negotiated agreement rather than law or regulation. Lawmakers in Vermont passed legislation aimed at improving collection of the estimated $2 million in meal and room taxes that 6,000 hosts of short-term rentals posted on sites like Airbnb fail to remit to the state annually. The new law, which was urged by the Vermont Chamber of Commerce, will require hosts to register with the state Department of Taxes. The bill was amended from a previous version that would have also levied a $65 fee for the registration. Although Washington’s bill was unable to pass in this session, Governor Inslee still has hope of attaining his bold goal passing a carbon tax before year’s end. A ballot measure slated for November ballot is aimed at reducing carbon emissions. The $15 per metric ton carbon tax would go into effect in 2020, and then increase by $2 each year until specific reduced emission goals are met. The revenue from the tax would go mostly to clean air and clean energy projects with smaller portions to clean water and clean forest projects, and healthy community proposals. For years, state and local governments have been dealing with a tax enforcement nightmare as out-of-state Internet retailers have refused to collect sales tax. That non-collection was facilitated by a Supreme Court precedent that tax collection can only be required when a retailer has a “physical presence” inside of a state. June 21, 2018 UPDATE: The Supreme Court’s decision in South Dakota v. Wayfair, Inc. has expanded state and local governments’ authority to require online retailers to collect sales tax. A May 2018 ruling from the U.S. Supreme Court legalizing sports betting has opened the possibility for states to expand the tax revenue collected from gambling. As this policy brief points out, however, gambling revenues are rarely as lucrative, or as long-lasting, as supporters claim.